It can be hard to know what kind of electrical enclosure you should choose these days with so many options available to you on the market. They come in all different materials including polycarbonate, fiberglass, and stainless steel and that each of these materials will not perform the same as the other. Some will stand up against certain elements better than others so you should make your choice based on what you need your enclosure to protect your electrical equipment from. Stainless steel has been the traditional choice for many years, but recently fiberglass enclosures and polycarbonate have been a more popular choice among different industries. Comparing different environmental elements and how each will protect your electrical equipment should help you make your decision when it comes to choosing the right electrical enclosure for you. Where do you plan to put the enclosure? Environment and location matter. If you need to put it in a rough working environment, you should choose something durable, something that will do well with impact. Polycarbonate enclosures have proven themselves to stand up to more wear and tear than stainless steel and fiberglass enclosures. Stainless steel is strong and will not lose its shape if it needs to carry a heavy load, but it can dent quite easily with sudden impacts. Fiberglass enclosures can sometimes arrive damaged from shipping, but polycarbonate enclosures can withstand the most on sudden impact so they rarely arrive damaged and can last a long time. Another thing you might want to consider when it comes to the environment, is the sun and which enclosure will stand the test of time with UV resistance. It may not seem like a major threat, but day in and day out in the sun is likely to weaken the enclosure over time. This seems to especially ring truth with fiberglass enclosures that are even coated in a UV protection. This too will wear out over time. Polycarbonate enclosures are mixed with a UV resistance before they are even put together so they withstand the sun much longer and, of course, stainless steel is also UV resistant but can get extremely hot and are more expensive than polycarbonate enclosures. Another factor you should look at, is how easy the enclosure you choose is to modify, how difficult will it be to install and how much each enclosure costs. As far as modifications go, there’s no need to tell you that stainless steel would be quite a challenge to work with; fiberglass is also quite dangerous. If you take a drill to fiberglass it can chip, crack, and it leaves rough edges, not to mention that it produces a fine dust which can be irritating on the skin and dangerous if breathed in. Polycarbonate, however, is the easiest of these to modify; a drill or any other cutting tool can operate normally. The main concern for most installations is the weight; this seems to be the only issue and difference between them. It may not seem like a serious issue, but imagine trying to install stainless steel on the outside of a high rise building, it’s probably not the easiest thing to lift. The lightest is of course polycarbonate enclosures with fiberglass enclosures coming in at second place. As for costs stainless steel has always been more expensive as it is more expensive to produce; fiberglass enclosures come in a little cheaper and polycarbonate enclosures seem to be the cheapest which seems crazy as they seem to perform better in most areas compared to other enclosures. You should make your choice based on facts and now it seems like you have all the facts you need when it comes to deciding which electrical enclosure will fit your needs. 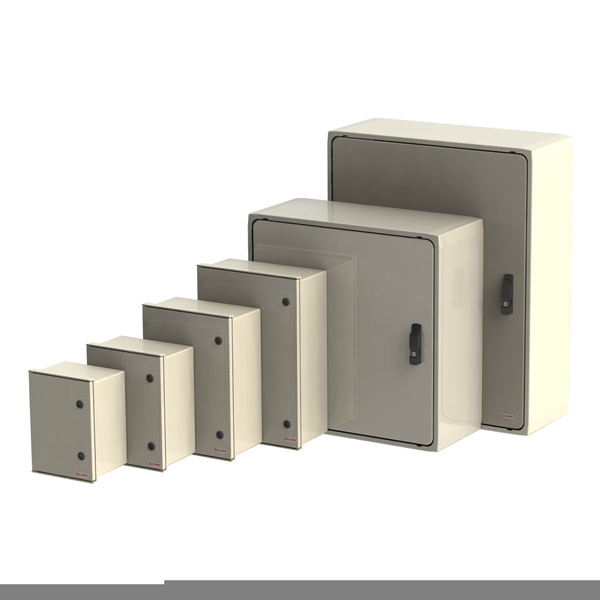 You can find a wide range of electrical enclosures in warehouses or you can browse and purchase electrical enclosures online.